It is an inevitable trend for China to strengthen bilateral financial cooperation with Germany, an attractive financial market among EU countries that can parallel the market of the UK, said a Chinese expert. 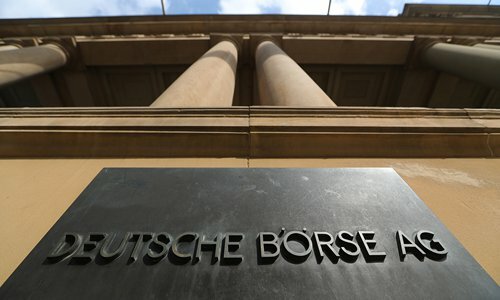 The comment followed a statement on the website of the China Securities Regulatory Commission (CSRC) on Monday saying that the Chinese securities regulator signed a memorandum of understanding with its counterpart in Germany - the German Federal Financial Supervisory Authority - on regulatory cooperation of derivatives and information exchange on March 18 in Frankfurt. The memorandum is an important component and supplement to the Securities Futures Regulatory Cooperation memorandum, the signing of which was witnessed by Chinese Vice Premier Liu He and German Vice Chancellor and Finance Minister Olaf Scholz in January in Beijing when the second China-Germany High Level Financial Dialogue was held. The memorandum signed in January was an update of the original document executed by China and Germany in 1998. The March document will promote pragmatic cooperation involving the two countries' capital markets, provide guarantees for bilateral regulatory cooperation and drive the development of the China Europe International Exchange (CEINEX), marking a new phase of China-Germany regulatory cooperation, according to the statement. CEINEX was set up in 2015 under the auspices of the two governments and its majority is owned by the Shanghai Stock Exchange and Deutsche Boerse. Home appliance maker Qingdao Haier Co kicked off the D-share project - D for Deutschland - on the infant CEINEX based in Frankfurt in October last year, becoming the first Chinese company to do so. Dong Dengxin, director of the Finance and Securities Institute at Wuhan University, told the Global Times on Monday that the two countries have established the foundations for financial cooperation in cross-border D-share listings, trading and regulation. "It is a natural trend for China-Germany financial ties to be strengthened as the US is closing its doors. Plus, Germany, a major economic entity in the EU whose financial markets can be on par with those of the UK, is an ideal financial partner for China," said Dong. Like the UK, Germany is expecting to benefit from the Chinese capital market from a program similar to the Shanghai-London Stock Connect. Peter Estline, lord mayor of the City of London, said the city hopes to further strengthen cooperation with Shanghai in the Shanghai-London Stock Connect project. He made the comment when meeting Shanghai Mayor Ying Yong on Wednesday, the Securities Daily reported. "China and Germany will also roll out their connect scheme based on the experience of the Shanghai-London Stock Connect in the near future as the two countries have large cooperation scope in the capital market," said Dong. China's financial sector is continuously opening up, providing opportunities for global investors, including those from Germany. Last November, China granted German insurer Allianz permission to set up the first wholly foreign-owned insurance holding company in the country.